Instate prospects dominated the first junior day under Dan Mullen for the Florida Gators on Saturday as the Gators look to once again lock down the top guys in the state of Florida. Defensive end D’Sean Perry (6-3, 225, Miami, FL. Gulliver Prep) was one of the guys that made the visit on Saturday and he liked junior day under Mullen. Mullen and his staff had the day planned out to the minute for the prospects as Saturday was busy for Perry while he was on campus. 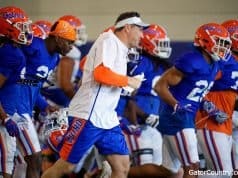 The change in atmosphere around the football staff is something that many people have noted so far under Mullen and Perry also noted that after Saturday’s visit. 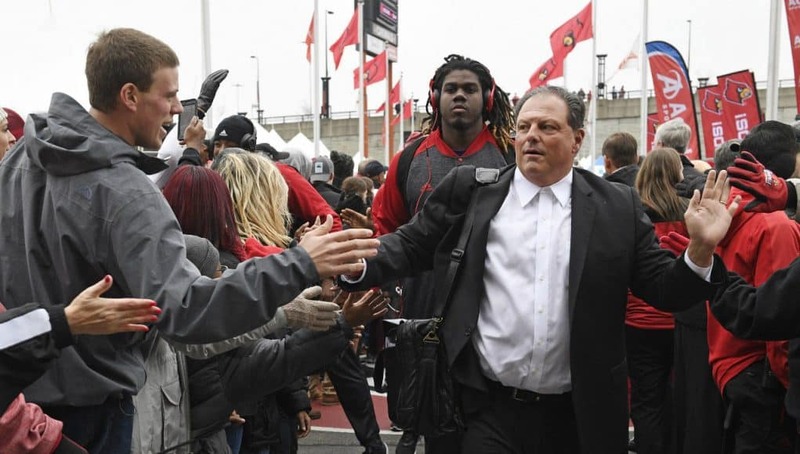 Defensive coordinator Todd Grantham spoke at length with Perry on Saturday about playing the defensive end position. Grantham also made sure to explain to Perry that the Gators need players at his position in this class. Head coach Dan Mullen didn’t beat around the bush with his direct message to Perry on Saturday. 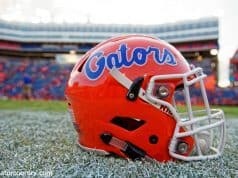 “He just said that I look good in the orange and blue,” he said of Mullen’s message to him. 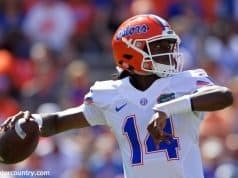 After Saturday’s visit the Gators improved their chances with Perry after he was able to meet everyone for the first time. Perry likes Florida and a few other programs but he isn’t rushing his process. INSIDERS TAKE: Florida definitely improved its chances with Perry on Saturday but he’s not ready to make a decision anytime soon.